Open Banking is based on the Payment Services Directive (PSD2), which obliges financial lenders providing online payment accounts to allow their customers to share data – with the customer’s permission – with authorised third-party providers. For SME finance, Open Banking opens up the field to other banks and FinTech businesses and should mean greater choice for business customers. Open Banking is set to have more of an impact on the market in the near future. Some revolutions are short, sharp affairs while others are “slow burners”. The UK’s new Open Banking regime, which came into effect in January 2018, can be placed in the latter category, despite its potential to transform banking for both personal and business customers. One reason for the slow uptake is taking stock of what it actually means. Underpinning Open Banking is the Payment Services Directive (PSD2), obliging financial lenders providing online payment accounts to allow their customers to share data with authorised third-party providers (TPPs). Customers have the final say as to whether their information is shared or not. By allowing banks (and other players) access to the type of data hitherto unavailable, the new regulations are intended to open the way to more personalised value-added service and more precise and targeted credit scoring. They will also, so the argument goes, drive greater competition and innovation in finance. Open Banking allows banks to “know their customer better”, while for customers it provides more scope for shopping around as more operators, including digitally disruptive players such as FinTechs. Key to driving these reforms through has been the Competition and Markets Authority’s (CMA) insistence that the UK’s nine major banks develop an Open Banking standard, including application programme interfaces (APIs) enabling software at one company to be able to retrieve information from software at another. One reason for the slow uptake in Open Banking is financial institutions, and above all their customers, are still taking stock of what it actually means for them. Opening up the market to new (and by implication more tailored) products and services that could help customers, including SMEs (small and medium-sized enterprises), negotiate better deals looks like a “win-win” for all. Business owners could also gain a greater understanding of their own financial data. There has, however, been some push back on the part of consumers and, to a lesser extent, SMEs. Some customers have raised concerns about data security, while the banks – until recently at least – have had misgivings about the threat posed by new, more agile competitors. Attitudes are changing insofar as the major lenders are concerned, though. More than 90% of banks polled in Accenture’s global Open Banking for Businesses survey (November 2018) viewed Open Banking for SMEs and large corporations as a “key strategic initiative in their digital transformation programmes”. For SMEs, however, suspicions have remained. PwC’s June 2018 report The future of banking is open found 54% of respondents stating that data security remains their biggest concern as regards Open Banking. New regulations are intended to open the way to more personalised value-added service. A similar conclusion can be drawn from an August 2018 report from KPMG. Its survey of 1,000 SMEs showed almost half of the respondents indicating they wouldn’t engage with Open Banking. One quarter, meanwhile, warned they wouldn’t share data “under any circumstances”. Smaller businesses, sole traders, domestically-focused enterprises and those owned or managed by the over-45s, were especially sceptical. By allowing banks access to the type of data hitherto unavailable, the new regulations are intended to open the way to more personalised value-added service and more precise and targeted credit scoring. The major banks have gone through an about-turn in the last 12 months since the launch of Open Banking. In addition, KPMG found SMEs have greater trust in the ability of their existing banking providers, the large incumbent high street banks, to safeguard their data than new entrants to the sector. PwC is more upbeat, forecasting that Open Banking could be a £7.2bn revenue opportunity by 2022, with 71% of SMEs expected to adopt it by that time. As John Lunn, Partner and Head of Retail Banking at Scottish independent law firm Morton Fraser, pointed out: “The major banks have gone through an about-turn in the last 12 months since the launch of Open Banking. Originally, they were resistant and reluctant to share customer data, considered to be part of the ‘crown jewels’ of banking. Data from the Open Banking Implementation Entity (OBIE) – created by the CMA in 2016 to devise software standards and industry guidelines – shows that the number of successful API calls made by third-party providers using account providers’ (ASPSPs’) Open Banking APIs in 2018, rose from 1.1m in May to 17.45m by December. May-July data included information from eight providers, while from August onwards, it was nine (and 16 brands). John explained many banks have invested heavily in the FinTech sector, through buying into FinTech firms to help develop their own offerings, partnering with firms to develop new products and services or making co-working space available so that FinTechs can work side by side with banks. Business owners can see clear benefits from the technology, such as a reduction in the time it takes for financial services to be set up. According to Accenture, more than 85% of banks globally have already invested in Open Banking for commercial clients or expect to do so in 2019. Most plan to invest up to $20m each to undertake initiatives such as building Open Banking platforms, or offering TPP services. 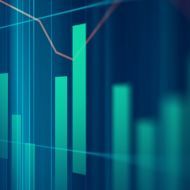 Crucially, half of the banks expect 5% to 10% of their revenue growth to come from Open Banking for SME and corporate clients over the next three to five years. Stuart also noted that Barclays has seen growing interest in its new SmartBusiness Dashboard for SMEs, which employs API technology allowing business owners to manage their finances from one place. 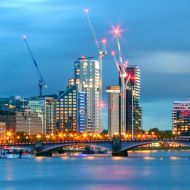 Collaboration, meanwhile, is becoming the name of the game – a case in point being iwoca, a FinTech which became the first business lender to connect with any of the UK’s nine largest banks, when it teamed up with Lloyds Bank in mid-2018. More recently it has linked with HSBC and Barclays. The company offers loans of up to £200,000 to small and micro businesses across the UK, Germany and Poland via its website and through partner integrations using its proprietary Lending API and – now in the UK – through the Open Banking API. Other emerging FinTech players in the Open Banking space include OpenWrks, which builds the technology that makes Open Banking work, and offers a personalised banking products comparison service for SMEs. A similar one-stop offering, when it comes to pricing comparisons is Swoop – that company’s underlying technology similarly employed to analyse funding opportunities for businesses. Open Banking can provide the SME with increased knowledge of the available financial products. Meanwhile, RBS-owned (since mid-2018) FreeAgent has become the first UK accounting software company to offer direct bank feeds via the Open Banking platform. FreeAgent’s Open Banking feeds are available for UK customers banking with RBS and NatWest, initially for a select group of test users with a wider rollout expected later this year. Not to be left behind, however, the major banks have similarly been responding – in HSBC’s case with its standalone “Connected Money” app, which enables customers to view their accounts at more than 20 banks in one place. From the SME owner’s perspective, it has “always been difficult to establish ‘what is market’ when it comes to, for example, lending rates and charges,” said Stuart Murray, Legal Director Corporate in the Edinburgh office of law firm Shoosmiths. Open Banking can provide the SME with increased knowledge of the available financial products. For the banks, an unwelcome compliance exercise has evolved into a potential business opportunity,. Stuart added: “This should also translate into a greater sense of control of the finances of the business and an enhanced ability for the SME to react to changes. For the banks, an unwelcome compliance exercise has evolved into a potential business opportunity, while the emerging FinTechs are no longer necessarily viewed by the major banks as the “enemy”. Indeed, the latter – in terms of business partnerships – offer the potential to provide the needed innovation many of the major banks require. For consumers and SMEs alike, Open Banking should represent a potential benefit, not a threat. Both constituencies are now able to shop around, while SMEs – with their own particular set of needs – will benefit from new technologies that will support meeting key objectives such as performance, profit and productivity. One year on – and with 100 regulated entities already enrolled in Open Banking – Imran Gulamhuseinwala, Trustee of the OBIE, expects a further 100 or more to join this year as the ecosystem develops at an even greater pace, in tandem with accelerating innovation. Tim Waller, Partner at UK law firm TLT, agreed – the company’s own survey of 130 financial services lenders across the UK noting the biggest perceived benefits being greater innovation (70%), more choice for customers (65%) and greater customer control of banking data and services (50%). Open Banking is still being developed, and it is too early to judge the impact on SME lending. Mike Conroy, Commercial Finance Director at industry trade body UK Finance, concurred, pointing out that his members are developing dedicated API interfaces (some using OBIE standards). Irrespective of the pace at which Open Banking reforms do proceed – in terms of their impact on the overall market – it is clear that the emergence of disruptive players such as the FinTechs means the major banks will have to change the way they conduct their business as the market opens up. Business customers can only benefit.